i-CABLE Communications Limited (i-CABLE Group) has officially launched its first free English television channel in Hong Kong on 30 July 2018 on Channel 76. Hong Kong International Business Channel (HKIBC) is the first of its kind in Hong Kong’s television industry. “We are a 24-hour free English television channel focused on providing financial news and information with programmes in both English and Putonghua. This is a unique platform for advertisers and companies to engage international investors who have the investment appetite in Hong Kong, China and other overseas markets,” said Carman Ng, senior vice president, media business of i-CABLE Group. Hong Kong is an international financial centre converging talents from all over the world and there is a high demand for financial information in the market. To fulfil the needs of a diverse population, HKIBC offers both English and Putonghua programmes. These programmes are produced by i-CABLE News which has won critical acclaim from viewers and opinion leaders for their professionalism and dedication. Some of them had worked for international or mainland news channels and possessed international perspectives plus understanding of the mainland market. In view of the government’s determination in developing Guangdong-Hong Kong-Macao Bay Area, HKIBC will feature news on the (Greater) Bay Area and invite specialists from financial and political sectors to programmes to share market insights and in-depth analysis, bringing viewers comprehensive and first-hand information in the industry. i-CABLE Group is also expanding the news centre in Guangzhou to provide more updates and information about the Bay area. All of these establishments have laid a solid foundation for HKIBC to develop into an important information hub disseminating resourceful financial news in Hong Kong and the Bay area, as well as fostering information exchanges in regional areas for investors to seize the opportunities that the Bay area will bring to Hong Kong. “After the official announcement about the launch of HKIBC in early July, we have received positive feedback from key advertisers, business partners and advertising agencies. 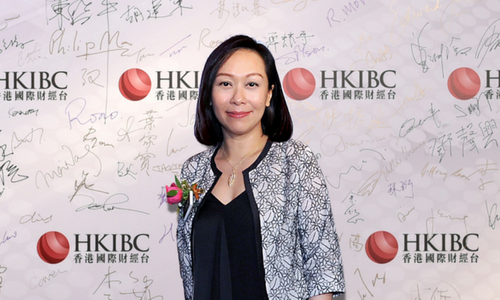 We are confident that HKIBC will become the optimal advertising platform for local and international advertisers to engage influential business leaders and investors in Hong Kong,” Ng concluded. Zouk KL came under the spotlight last month when Malaysian celebrity entrepreneur Neelofa copped flak for launching her new hijab .. The brand is the first bank in Singapore that enables its customers to do their day-to-day banking and make cashless payments usin..